Tue., Feb. 23, 2016, 2:19 p.m. When: Sunday, May 1, 9 a.m. Cost: Through April 12: $18. In 1977, 1,198 people finished the first Bloomsday in Spokane. Ninety-two liked it enough to run the next 38. To celebrate the 40th race, which will be May 1, those “Perennials” – participants who have never missed a Bloomsday – get a warmup edition on the original Bloomsday route. That course in 1977 started downtown, crossed the river over the Maple Street Bridge, wound through the West Central neighborhood via Summit Boulevard and down – yes, down – Doomsday Hill, before heading up T.J. Meenach Drive and southeast on Northwest Boulevard and ending at Riverfront Park via the Monroe Street Bridge. That course changed in the fourth year because the on-ramp to the Maple Street Bridge became a choke-point in the race as the number of participants grew. The new course went up Doomsday Hill and added hills along Government Way. Kardong said Bloomsday hasn’t planned for prizes for the Perennial race on April 17. “It’s more of a social occasion for our Perennials,” said Kardong, 67, who is among that group. 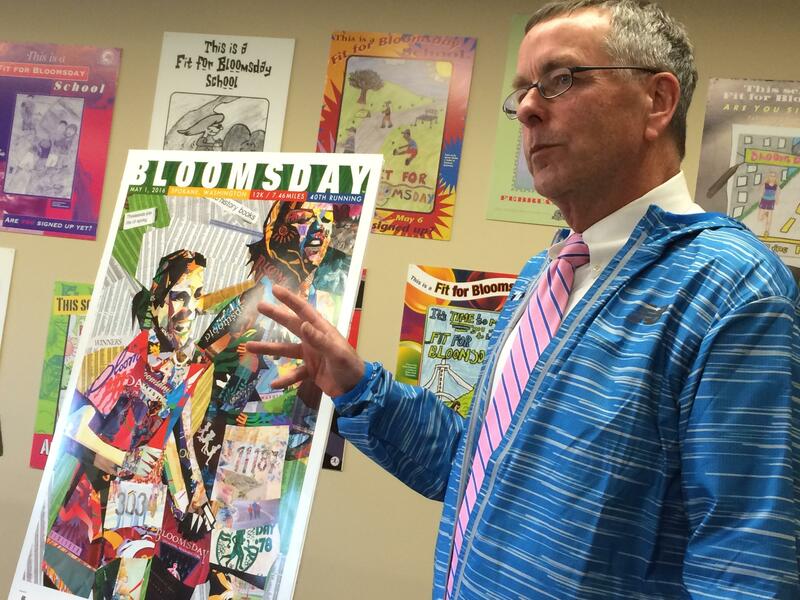 Kardong and Bloomsday board President Steven Jones outlined the details of this year’s Bloomsday at a news conference Tuesday morning. In celebration of the 40th year, finisher T-shirts will be made from a softer fabric. “We decided to do a little something special for our 40th year,” Kardong said. Also new this year, Bloomsday created a Bloomsday app for phones. It’s available for no charge at the Apple App Store. The entry fee for the race is $18, significantly less than similar races across the country, thanks to corporate sponsorships, Jones said. The race costs about $1.3 million to stage. “We want it to be affordable to anyone in our community,” Jones said. Published: Feb. 23, 2016, 2:19 p.m.